In this document, you will learn how to link an image to an URL. 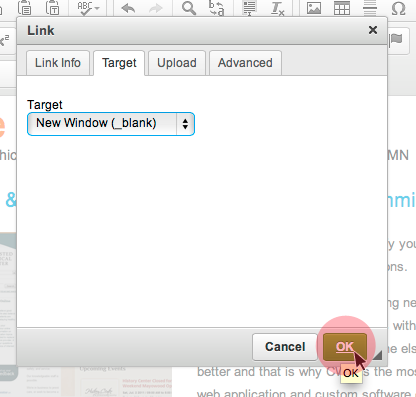 To link an image, select the image that you want to link and then go up to the menu and click on the Link icon . 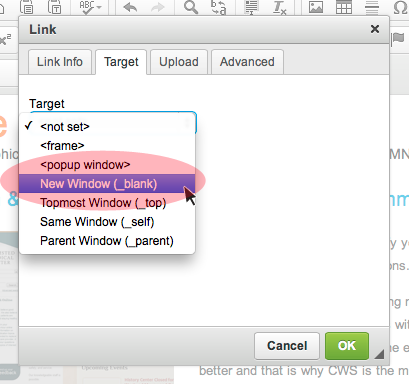 This will popup a window. 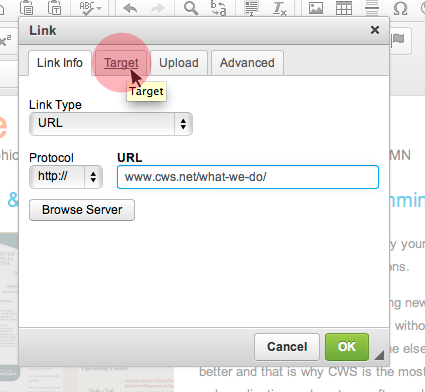 In the URL field, paste the URL that you would like the image to link to. When you have done that, go up to the top of the window and click on the Target tab. 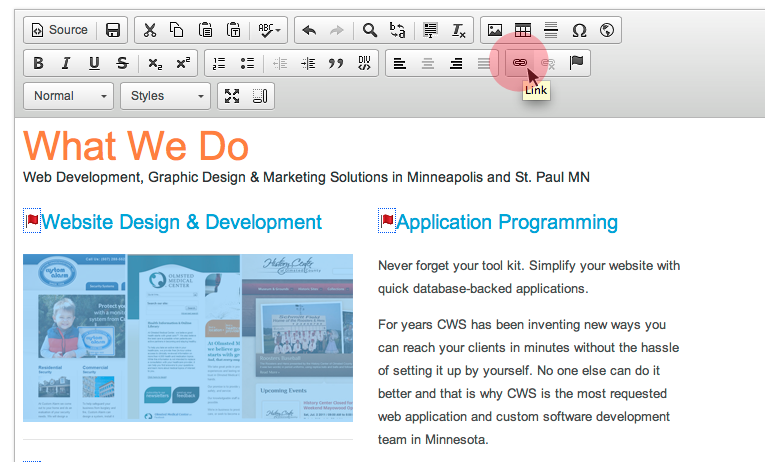 Click on the drop down arrows for the Target field and select New Window (_blank). When you click on the image, it will open the link in a new tab. You do not have to do this, but it is what most people do, because otherwise it will take the user away from your site. If you do not want the image to open in a new tab, select Same Window (_self). Click the green Okay button and you are done. If you want to change the link, just double click the image and it will bring up the window again. If you have questions about placing an image in a page or the image settings, you can reference these documents: Uploading/Inserting an Image or Image Settings.